Has New Big Dragon Games ever released a product that was less than excellent? I think not. 200 creatures for a buck? That's half a cent a monster. 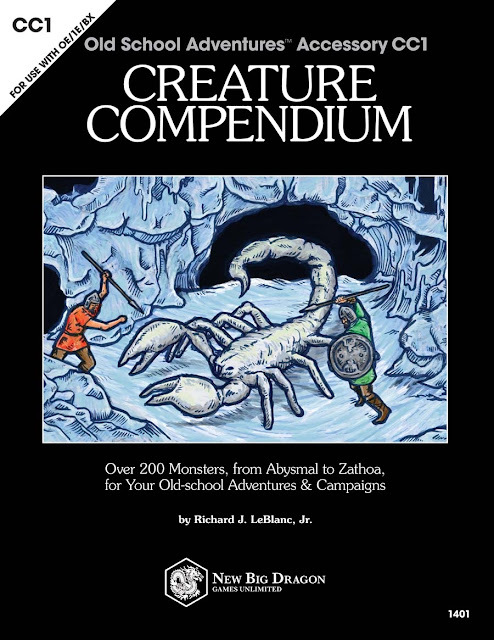 The Creature Compendium is on sale right now for 1 (one) small (inconsequential) buck (dollar) in PDF. Do yourself a favor if you don't already own a copy - grab it now!